Have you ever tried to manage your own property management software? If so, you’ll know that it’s difficult and frustrating because it’s easy to get lost in the numbers. So what do you do? Many property managers and landlords (over thirteen thousand) have found success by using Rentec Direct. But there are a few things that you should know before giving it try and implement the software in your business. 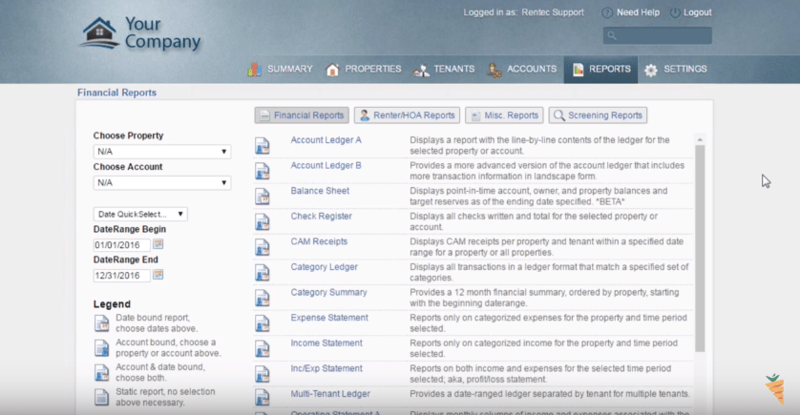 This Rentec Direct review video and post will tell you what you need to know to make sure you select a property management software that will let you successfully manage your business. A Simple and free application that anyone can use to streamline their small rental business. Offers the software free for smaller landlords that have ten or fewer properties. The only company right now that’s still focusing on private landlords. They have the best support team on the planet for property management software. Trevor: As a Property owner yourself, you created it (Rentec Direct) out of your own need, right? Nathan: Exactly, yeah. Basically, it was about 2006, 2007-ish, I had a few properties I was managing myself. I had just topped five properties doing all the management myself and like you were just stating … like you were, I was using Excel and Quicken. I was using a whole bunch of tools that were not designed for property managers. I was just fighting my way through it, keeping track of a lot of notes, who’s paid rent this month, who hasn’t. Once I got a certain number of properties, it just got to be too much work and I wanted to find a more efficient way to do it. At the time, I was developing software, billing software, for internet providers and I just knew there has to be a piece of software out there that does this that’s going to make my life a lot easier. I searched and searched and back then, there was not a lot available. There was some big softwares like Yardi and RealPage. They existed, but the entry, cost entry point was way prohibitive. I just couldn’t find anything that was simple enough for a small landlord to manage their properties with. Being the developer that I am, I started creating something with myself in mind, with my properties. At the same time, I figured I would create something that other people could use. The whole intention was just to create a simple, free application that anyone could go up and use to streamline their small rental business, so I created that. It was much simpler and not nearly as pretty as what it is today. With the free-mium model allowing anyone to just log in and use it for free, we ended up with a couple hundred people using it. They were sending some really great ideas and seven years later now, we’ve gotten hundreds of great ideas and the application’s turned into what it is today. Trevor: You guys are working with, many, many, many thousands of property owners now or property managers too, so this isn’t something that you just created a couple weeks ago or even a year ago and it’s a side business. This is what you guys focus on. This is your full-time work and you guys help tons of property managers and owners. Nathan: That is absolutely true. As of today, we’re servicing over thirteen thousand property managers and landlords with it. They’re using the software or our tenant screening products or our ACH solutions. It’s been a big hit. Trevor: If you own properties or you’re a property manager and you’re experiencing any of those pains, you’re experiencing the pains of not knowing exactly what your numbers are, you’re experiencing the pains of maybe not having your systems work together, being able to get your books where your bookkeeper, your numbers where your bookkeeper can handle them, or if you’re experiencing the pain of not really knowing where your properties are as far as vacancy-wise, if you have a bunch of units, or there are all kinds of things. Screening your tenants, processing payments through credit card or ACH, all that kind of stuff – there’s a lot of things that Rentec Direct can solve for you. We’re only going to touch a free account that you can give a try and then escalate from there if you want to add more properties. Nathan: Yeah, absolutely. In fact, we still offer the software free for any of the smaller landlords that have ten or fewer properties. Trevor: Awesome. Just go to oncarrot.com/rentec and check it out. 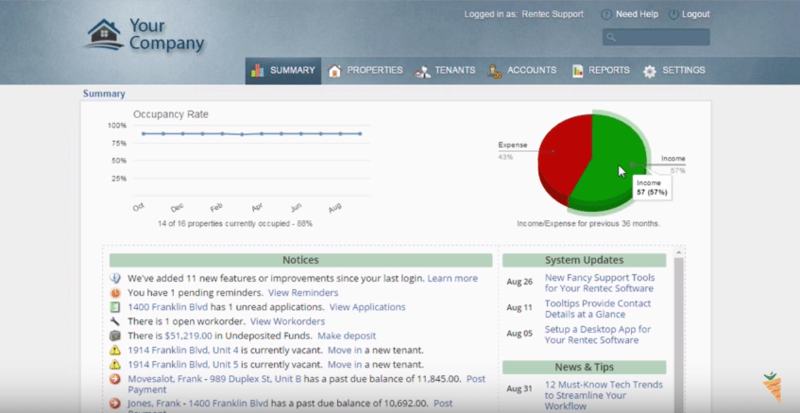 The thing that I love the most and when I was reviewing a lot of property management software back in the day, the thing I always loved was having a great dashboard. We’re on your dashboard and it’s called your summary tab. What things are on the summary tab right now or on the summary page and why did you put them there? Why are these important for property managers and owners to see? Nathan: Simply put the things that a property manager or a private landlord specifically want to see every single day is what’s up here. Occupancy rates are probably the most important thing to a landlord. They want to know, especially if they have more than a couple properties they can keep track of in their head, knowing what the occupancy rate is, so that’s up front and center here. Then, of course, the income and expenses, how much money you’re making on these properties. If everything’s plugged in, it can be displayed in graph form or we’ve got textual where it just shows you more of a ledger entry up there also, so it’s customizable there. If you scroll down, we’ve got all your important notices are going to be on the bottom. That’s going to be if a tenant is late or overdue, if you’ve got a vacant property, how much you have in undeposited funds – you can see in the demo account, I’ve got an extreme amount in there. Then, all these shortcuts quickly take care of mainly day-to-day issues that come up. There are shortcuts to run through this list and if you get through this list by the end of the day, you’ve got all your important stuff done. These also, any contact information on any units or properties, just quick access to being able to get their phone number or their email address, whatever you’ve plugged into the system. We’ve been developing this since 2007 and every month, we’ve got three or four major updates that usually go out. Making those updates front and center so everyone is aware of what’s new, is important. We also have a couple writers on staff who are researching and writing topics very specific to our industry and those come down in our news and tips section. These are well-researched articles that, how to eliminate pests … This is just August stuff. You’re able to see in August, every few days, we’re putting up a new article that’s helpful to our clients. Trevor: I like it. There are other options out there. There’s Buildium, there’s Yardi like you mentioned, there are other options. What’s your guys’ niche? What do you guys solve better than the other guys do and what is your ideal client? Nathan: Sure. Well primarily, especially for some of your clients, Trevor, is we’re the only company right now that’s still focusing on private landlords. All of our competitors have moved on to the property management space. They want someone who has no less than two hundred properties and that if you go to their website, you talk to their salespeople, that’s what they’re focusing on. We’ve remained committed to the landlord community and we intend to forever. We have more landlords than we do property managers in the system and we get more feedback and do more developments for landlords than property managers. That’s one of the major things is we’re focused very specific on private landlords. We do also support property managers, but it’s we’re equally supporting both. As far as our development, one of our core philosophies is if we’re going to make it, we’re going to make it easier. 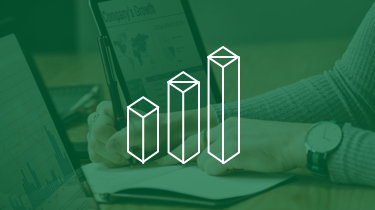 It’s easy to pick on QuickBooks just because QuickBooks takes so many steps to accomplish anything and it’s just such a huge application that tries to support every single industry. It’s just, by its nature, complicated. 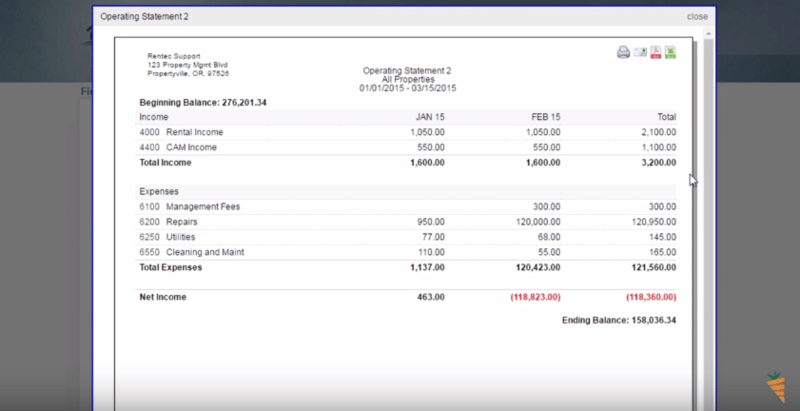 If you take some just basic procedures that you might do in QuickBooks or any of our competitors where it might take, say, to do … to send money to a tenant or to receive money from a tenant via ACH what might take five or six steps in five minutes in other applications, we analyze these processes when we’re developing it and we get it down to … If we can get it to one step, that’s the whole idea is to save time. I just want to throw one other thing out there. One thing that we do exceedingly well better than, I can confidently say better than anyone else, is we have the best support team on the planet for property management software. One thing that we’ve done with our support team is we hire property managers, people who have been in the property managing industry. They know the industry. We bring them in and they are the ones supporting our software. If you call in and you have a question not just about the software but about business, we can often answer it. Trevor: That’s one of our philosophies here … I think that’s one of the reasons we resonate with each other. It’s the same thing. 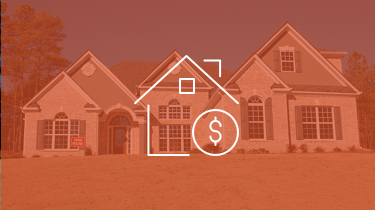 It’s our core team, our real estate investors. It’s really cool being able to give that perspective, so I love it. People can check out the tour on your website, so we’re not going to dive into the details. They can see how to upload properties and like we said, you can go get a free account, guys and gals, there’s nothing to lose. Go in there, check it out, add some of your properties to it, toot around in there. 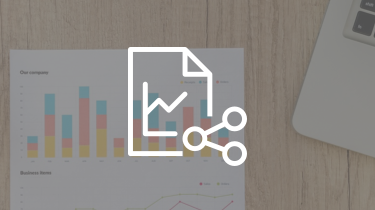 One thing I always like to see is click the reports tab because to me, the reports are always a cool part of what your property management software can do. Of course, it looks like you guys have a ton of reports, which is amazing. You guys can sort by dates. Just you using the software yourself, what reports do you tend to use the most in your business? Nathan: Like you said earlier also, I’ve outsourced most of my property management, or my properties, to property management. I do this less and less, but when I did do it, I would be coming in here. The operating statement is a really fun one. There’s a lot of data, so just pick some kind of dates and run an operating statement. What this is is it’s like if you’re familiar with a PNL for a business. This is like your PNL for your properties. You got a month to month and you can make this twelve months or whatever size you want and it’s going to show you a rundown of your beginning balance, all your income, all your expenses based on your accounts and then give you your ending balance. A super useful report that I always relied on. Trevor: I love it. Yeah, guys and gals, like I said, there’s all kinds of reports in there that you guys can check out and run on your properties. One thing you mentioned, this was a problem that we were having several years back, but offering the ACH rent collection. You guys have that built right into the system? Trevor: Cool, and then you guys also have tenant screening? Nathan: Yeah, those are two huge factors. The ACH can be managed by the landlord. If the landlord sets up their own ACH service, they can then go in and plug all the information in for the tenant. The tenant can also log into their own tenant portal, so they’ve got their own login that they can use on their phone or their desktop. They can schedule payments via ACH or credit card. Trevor: That’s slick. We could be in here for an hour showing everything that it does and how it’s going to make our clients lives easier, but I think the best way that you guys can check it out. Like I said, this is something it’s just no risk upfront. Just use the URL below or go to oncarrot.com/rentec. Check it out and get their free trial. Actually, get the free account and then put your property in there. As you guys decide that you want to use it, the pricing is amazingly fair and just really, really simple. I think you guys are going to love it. Like Nathan was saying, one of the coolest things about it and the only reason we decided to do this because you guys see that we just never do things like this as far as reviewing products or even bringing the product owner on, what Nathan was saying about their support. If you guys ever follow Carrot or are clients of ours, of course, you know how fanatical we are when creating great customer experiences. Anyway, they’re a fun company, they’re a growing company. I think you will just really enjoy working with them, so check them out: oncarrot.com/rentec… If you have questions, ask them. When you go over there, you can see the full tour. They’ve got my highest recommendation for property management software. Everyone that watched this video, make sure to share it with someone that you know who owns rental properties. Even if this doesn’t fit you and you know someone out there who owns one rental property or a hundred or a thousand, whatever it is, and you know that they have problems or may have problems that this can solve, share it with them. One of the biggest things that property management software can do or rental property software can do for you is save time, save a ton of time and give you that peace of mind, which Rentec Direct can do for you. Thanks guys and gals and talk to you soon.